Not sure if your insurance provides you with TruHearing Choice discounts? 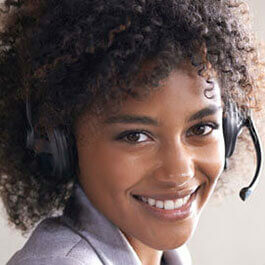 One of our Hearing Consultants can verify your program eligibility in minutes. TruHearing Choice offers a rich array of models, styles, colors, and features to meet your hearing loss needs. Whether you need hearing aids that are virtually undetectable or ones that connect to your smartphone or TV, we have an option to meet your needs and budget. Because you are a valued health plan member, your insurance has secured low prices on hearing aids from TruHearing. That means you’ll save thousands of dollars compared to pricing you’d get on your own*. TruHearing only sells models from the leading hearing aid manufacturers. We believe in quality, so even our standard-level models are rated higher than typical entry-level hearing aids. No matter your level of hearing loss or budget, we have an option that will work for you. 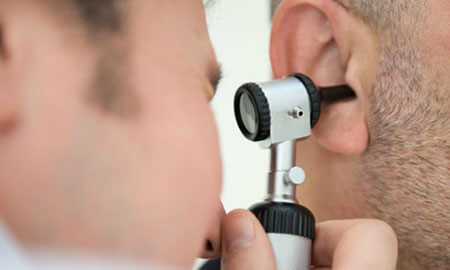 Personalized treatment from a hearing care provider is vital to addressing hearing loss. But how do you find a reputable and qualified one? TruHearing does it for you: Our providers are highly skilled in testing, diagnosing, and recommending the best hearing aids for you. When you call, you’ll be assigned a Hearing Consultant who will answer your questions and make sure you get the care you deserve. 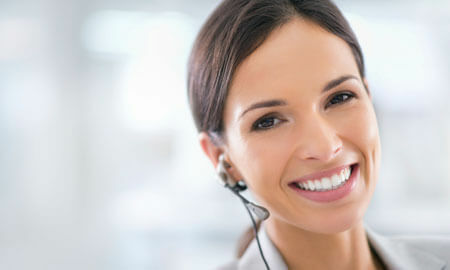 Your Consultant will also be your point of contact as we interface with your insurance and submit claims on our behalf. Your hearing aids come with a 45-day trial and full backup support. In the rare case you have a problem, you can rest easy knowing you’ve got full warranty protection with a 3-year manufacturer warranty and a 3-year loss or damage warranty†. We help you successfully transition to using your hearing aids by including up to three provider visits for fitting and adjustments. You also get 48 FREE batteries per aid‡, and ongoing educational information sent right to your inbox. TruHearing can verify your hearing aid coverage and can handle most applicable claim submissions, minimizing your headaches and out-of-pocket costs. *Based on a nationwide survey of average retail hearing aid prices. †Replacement fees may apply. ‡Free battery offer is not applicable to the purchase of rechargeable hearing aid models. Your TruHearing Hearing Consultant will answer any questions, check your insurance eligibility, including verifying your copayment amount, and set up an appointment with a certified TruHearing provider near you. Our provider will perform a hearing exam and recommend hearing aids that accommodate your hearing loss, budget, and lifestyle. After the provider fits your hearing aids, you get a 45-day trial period, 3-year warranty, and follow-up support to ensure you’re happy with your new hearing aids. Call and order now, and your batteries will be delivered straight to your door. Will Hearing Aids Slow Down Hearing Loss in My Ears? Can Hearing Aids Be Adjusted to Help Me Understand Consonants Better? Would a BTE (Behind-the-ear) Model Be Best for Me? Prefer We Call You to Set Up an Appointment? No problem! Just give us your info and we’ll be in touch shortly.